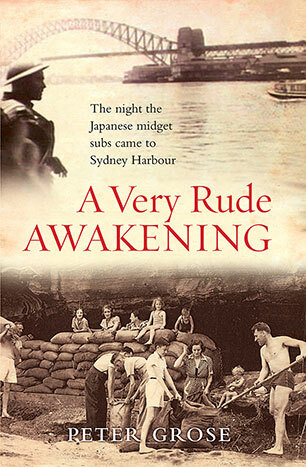 On the night of 31 May 1942, Sydney was doing what it does best: partying. The theatres, restaurants, dance halls, illegal gambling dens, clubs and brothels offered plenty of choice to roistering sailors, soldiers and airmen on leave in Australia's most glamorous city. The war seemed far away. Newspapers devoted more pages to horse racing than to Hitler.That Sunday night the party came to a shattering halt when three Japanese midget submarines crept into the harbour, past eight electronic indicator loops, past six patrolling Royal Australian Navy ships, and past an anti-submarine net stretched across the inner harbour entrance. Their arrival triggered a night of mayhem, courage, chaos and high farce which left 27 sailors dead and a city bewildered. The war, it seemed, was no longer confined to distant desert and jungle. It was right here at Australia's front door.Written at the pace of a thriller and based on new first person accounts and previously unpublished official documents, A Very Rude Awakening is a ground-breaking and myth-busting look at one of the most extraordinary stories ever told of Australia at war.